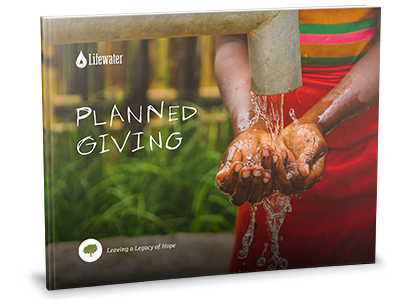 Lifewater Home / Blog / Planned Giving: What is a Planned Gift? Planned Giving: What is a Planned Gift? Are you thinking about planned giving but still have some questions? Are you wondering, “What is a planned gift, anyway?” We’re here to help. Find out more and start your planned giving today. Planning a gift often lets you make bigger gifts than you may have thought possible. There are other benefits as well: some gifts lead to considerable tax savings, some gifts provide extra income for you or loved ones, and some gifts can be made to honor people important to you. (Some can do all of these!). Whatever kind of giving strategy you use, you are choosing to maximize your gift to do the most good. Additionally, a planned gift allows you to make a deeper impact for a cause you care about. Having been active in the ministry for more than 20 years, Fuller professor and recent Lifewater Board Member Dr. Jeff Bjorck is a passionate advocate for planned giving in partnership with Lifewater. “We have found a real peace of mind and sense of satisfaction knowing that—whether God calls us Home tomorrow or 40 years from now—the resources He has given us will continue to work for the Kingdom of God through the future ministry of Lifewater,” says Dr. Jeff Bjorck. 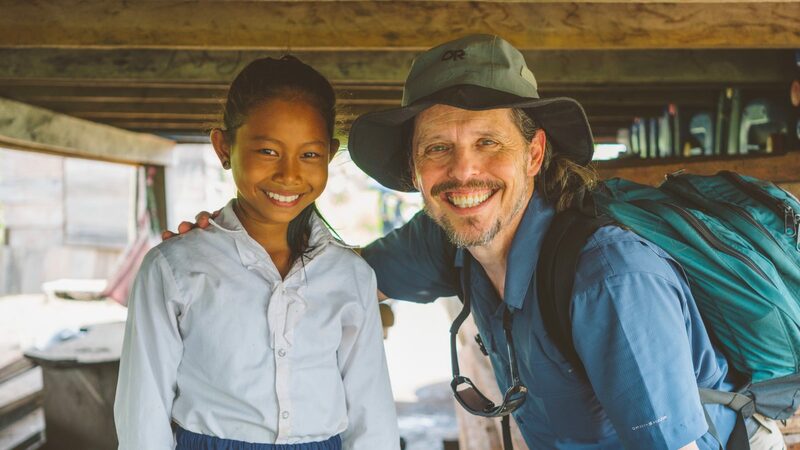 Dr. Jeff Bjorck with El Lot’s daughter in Ou Ta Kok, Ta Siem Commune, Cambodia. Your planned gift can help future generations, too.